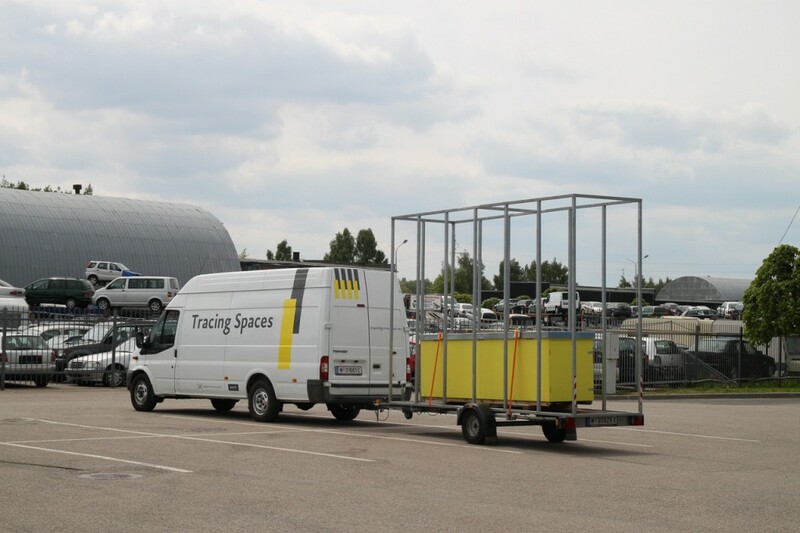 Step by step we improve our mobile lab – the Ford Transit transporter van (the name is the program) and the trailer. 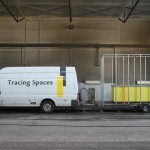 Inside the van we started to install a mobile exhibition, which we use as triggers for conversations. 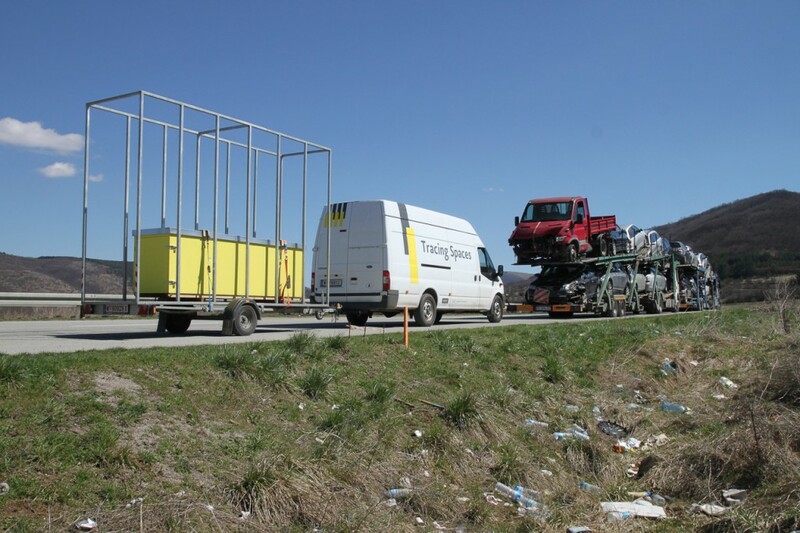 But we also use the big load capacity on our research trips to collect artifacts. 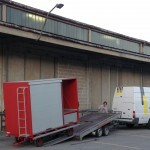 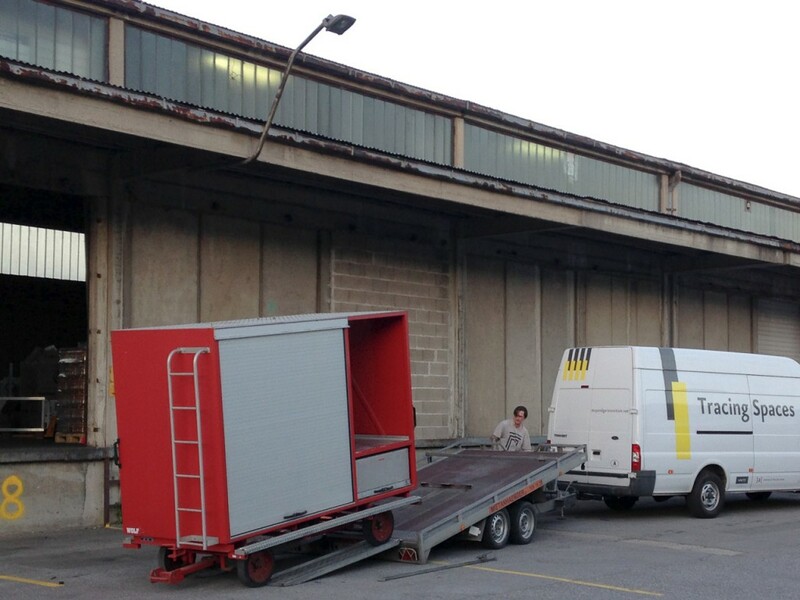 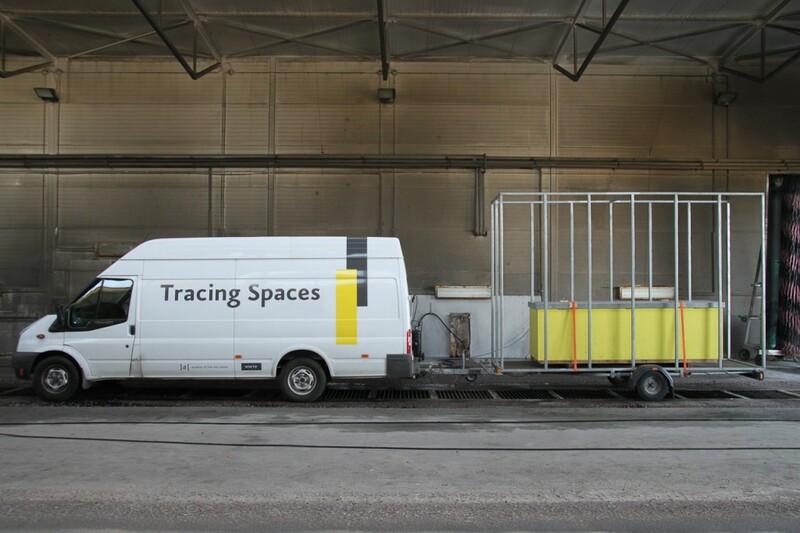 The trailer we designed as s spatial grid and sub-construction in order to attach white panels which are stored – like a sketch-book – in the yellow box. 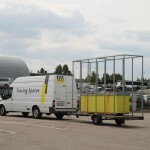 During interviews on the respective site we draw large-scale live mappings on the panels.